Revolabs has relaunched its Revolabs Academy Training Program, a free, interactive online learning portal that provides users with a better understanding of audio fundamentals, measurement and performance, and proper use and installation of Revolabs products. The online curriculum complements the company's upcoming training and certification tour, which will bring live instruction with Revolabs' award-winning product portfolio to 20 cities across the U.S. The training and certification tour will span August to October 2014. The 20-city tour will include stops in New York, Chicago, Dallas, and Los Angeles, where AV resellers and consultants will receive hands-on training on all Revolabs products, including the all-new, award-winning Executive Elite product family. This national tour offers an all-day class focused on all technical knowledge needed to become a certified Revolabs partner. Upon completion of either set of courses, users will earn four CTS credits. 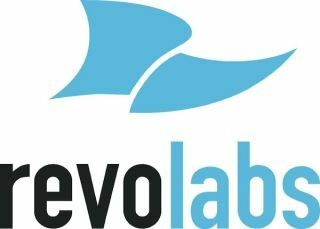 "By revamping the entire Revolabs Academy Training Program and adding fresh content, the new portal now brings a more intuitive, streamlined, and engaging training experience to our technical partner community worldwide while introducing new incentives that encourage learners to continue earning credits," said Marc Cremer, COO, Revolabs. "The North American live training and certification tour is part of our ongoing global outreach initiative and affirms Revolabs' commitment to providing live training to our customers around the world." Open and free to all current Revolabs customers including resellers, consultants, distributors, and end users, the online academy provides an interactive learning experience that intuitively guides users through a series of lessons covering the principles of audio, echo cancellation, microphone placement, product integration, configuration settings, repair procedures, maintaining RF stability, and avoiding interference. Users earn four CTS credits upon successful completion of the course, which can be applied to InfoComm(tm) RU credits for CTS, CTS-D, or CTS-I certifications. This is especially useful for professionals unable to attend InfoComm training sessions onsite.